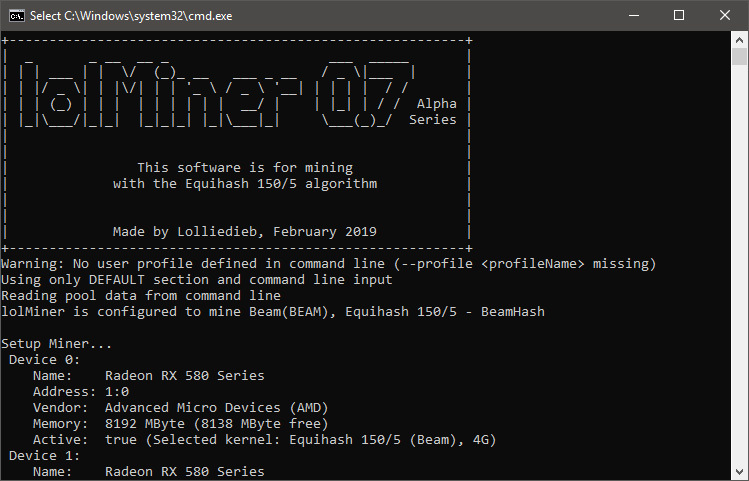 The latest update of the AMD GPU miner lolMiner 0.7 alpha5 brings support for BEAM (Equihash 150,5 algorithm) on NiceHash giving access to AMD miners to sell their hashrate on the platform. In the last day the most profitable hashrate selling was for BEAM on NiceHash, but unfortunately not for AMD… it was for Nvidia miners with higher-end GPUs. Nevertheless, AMD miners now have access to sell their Equihash 150,5 hashrate as well on NiceHash with the lolMiner 0.7 alpha5, just make sure you set TLS to off for use with NiceHash (--tls 0 in cmd or "TLS" : 0 in config file to turn if off for BEAM). 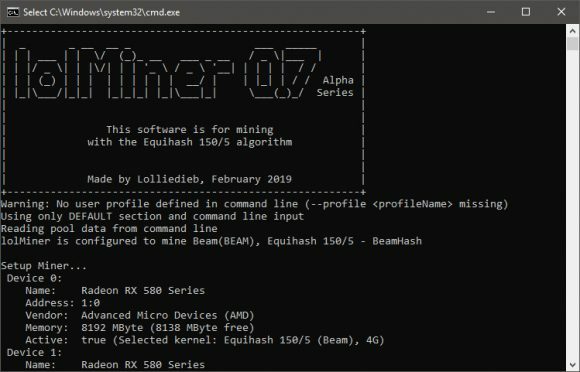 We remind you that lolMiner is a closed source AMD GPU miner available for Windows and Linux as pre-compiled binaries only and that there is a developer fee for using the software.